More of a twist on the traditional hotter, overwound humbucker pickup that sounds neither muddy or shrill, keeping its clarity & definition - A trio of custom Alnico 5 & Alnico 8 magnets help to give the pickup great attack and punch in the mids while the high end is smoother, still articulate for higher output / higher gain playing. Great if you love that saturated, higher output / high gain sound but need to keep clarity & string definition. Great clarity & definition for a higher output humbucker. 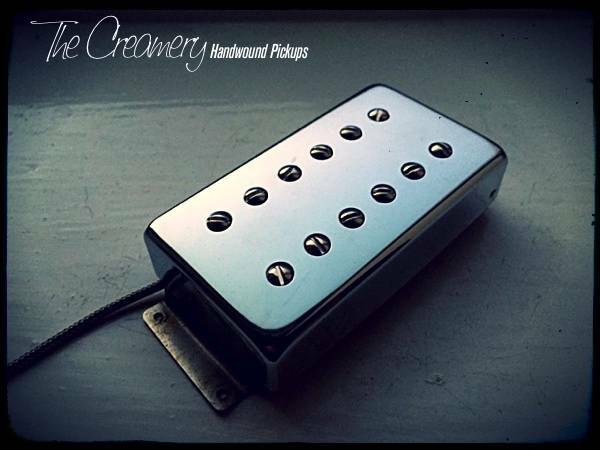 Avaialble in larger chrome, nickel or aged/matte custom manufactured, 12-pole Wide Range Humbucker size covers.